Bill your customers accurately even when you are on vacation. Define multiple pricelist, link them with their respective customers & vendors once and leave the billing work to your data entry operators so that you could focus on other important things of business and life. MaxxERP has a very flexible Sales & Distribution module which is the need of every retail and distribution business today to engage with multiple channels. A comprehensive Sales order and Distribution system is required to manage Franchise with COCO (Company Owned, Company Operated) - FOCO (Franshisee Owned, Company Operated) - FOFO(Franchisee Owned, Franchisee Operated) model, C & F, Super Stockists, distributors, agencies, distribution centers, dropshippers with their individual terms, transport across multiple sites. MaxxERP helps you manage this complexity with complete clarity and ease along with transparency at all stages of inventory movement. MaxxERP is a beautiful online pricing management software. Its very simple & easy to use pricing software over the cloud. Being a Web based pricelists managing software makes it accessible anywhere over internet. MaxxERP is the best pricelists software system that can be used on Desktop, Web and Mobile. 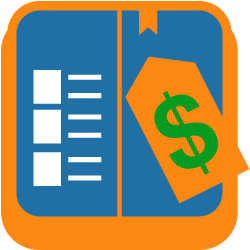 Manage your business price lists related operations with Complete Clarity. MaxxERP is a secured online pricing application on cloud for small businesses too. Clear definition of Multiple pricelist. Option to Define pricelist with different rate definition option like Mark Up on Cost / Mark Down on MRP or Sales Rate / Margins on Cost / Discount percent on MRP or Sales Rate / Flat Sales Rate. Option to define pricelist Individual Product wise or Parent Group/Category/Brand wise. Option to link pricelist to Customer/Vendor Master. Option to link pricelist to voucher level. Option to change multiple pricelist in a single transaction. On screen alerts when rates are different then as defined in pricelist. Option for Customer/Vendor wise rate history comparison while transaction data entry.